Heya, it's been almost 2 months since I last updated this blog because I have been busy with work and personal stuff. But here I am now, with a newly reformatted laptop, so I've finally no excuse now to skip updating this blog (sorry, self!). 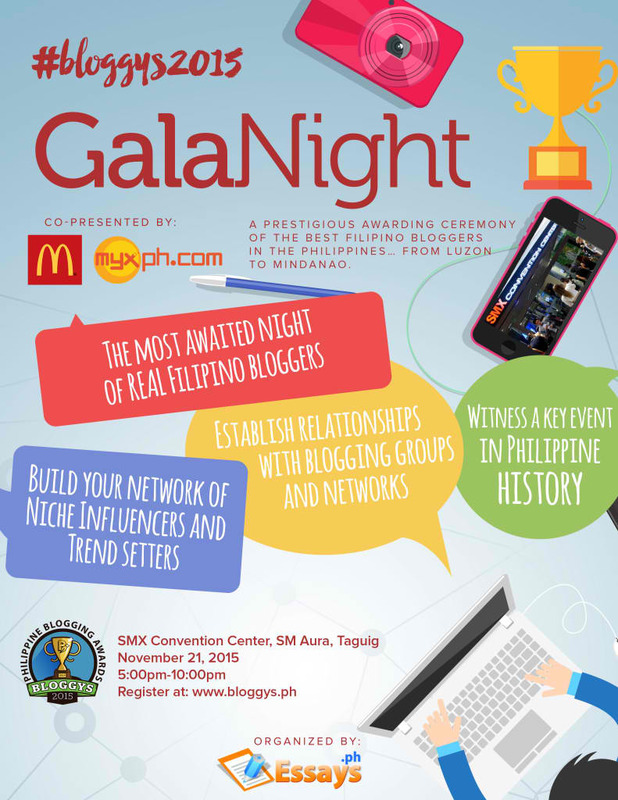 So yeap, what better way to resurface online than to write about tomorrow's prestigious event for Bloggers: Bloggys 2015! 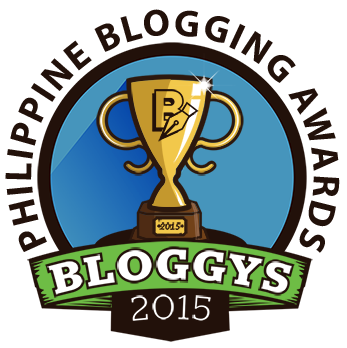 Bloggys is the Philippines’ premiere blog awarding event established this year. The awards night will take place tomorrow, November 21, 2015, 5:00pm at SMX, SM Aura Taguig. It's strictly an invite-only event though because it is meant for active bloggers. But don't you worry, I'm sure the bloggers and media people invited will keep you posted! You may follow #bloggys2015 on Facebook, Instagram or Twitter for sneak peeks. Just a few months ago, Bloggys started accepting nominees from September 1st up to the 30th. And of course, I did not let the opportunity pass and I nominated none other than my favorite (and my girl crush's) blog, Spell Saab by Saab Magalona! Too bad I think she did not make it, because I swear, I religiously read all her blog posts (but not in a creepy way/stalker-ish!) for inspiration and motivation. Because if there's *~feed goals~* for Instagram, there can also be a life goal perhaps? Or at least, blog goals. If you're a finalist, but you have an urgent matter to attend to, please send a representative to claim your award (and tokens from sponsors). No dress code, just look your best! Collab Area - Where bloggers can meet and collaborate while having refreshments. Game Station - Play, have fun, and win prizes from the sponsors. Raffle/Giveaways - Bloggys have partnered with companies like McDonald's, Myx.ph, Acer, Cebu Pacific, etc. Judges Area - Meet the judges who have worked hard to bring you the best of the best bloggers in the Philippines, such as Maria Ressa (Founder of Rappler), Donald Lim (Chief Digital Head of Abs-Cbn), John Nery (Editor-in-Chief of Inquirer.net), Janette Toral (Founder of DigitalFilipino), Anton Diaz (Our Awesome Planet). For a list of nominees, click here. For a list of bloggers who will attend tomorrow's event, click here.